1. 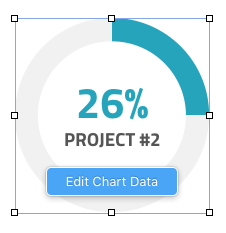 Right-click and highlight the graph/chart and click on “Edit chat data” button. 2. In the newly opened table edit the data (add new fields or delete existing, if necessary). Close the table. The data in the table is saved automatically. You can see the edited form of the graph in real time.